Go to Select Printer - Preview/Print to screen. Go to either the Night Audit menu or the Manager Menu. 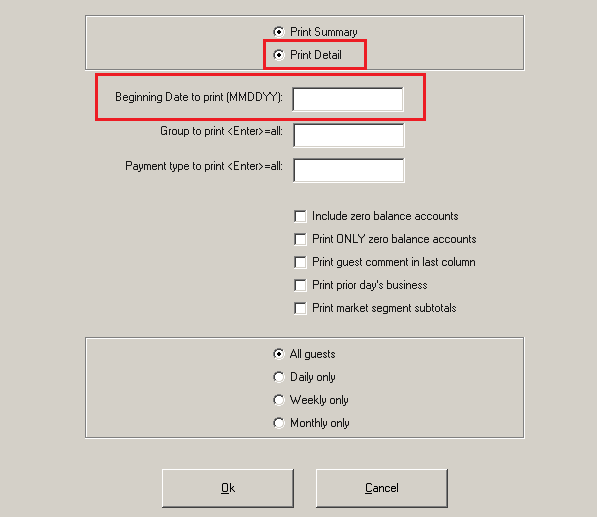 Go to Print Guest Trial Balance (Detail). Select #11, "Print single folio". At the prompt enter the folio number. Press Enter or click OK to print all. Answer Yes to "Detail lines only?" When the next screen opens, click "Print Detail". Enter the beginning date to print. If you want to include zero-balance accounts, click that option. 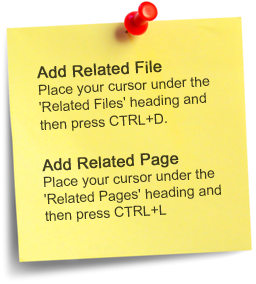 When the report displays, select "Save to text file". Remember where you save it. You will use that file for the import into Excel. 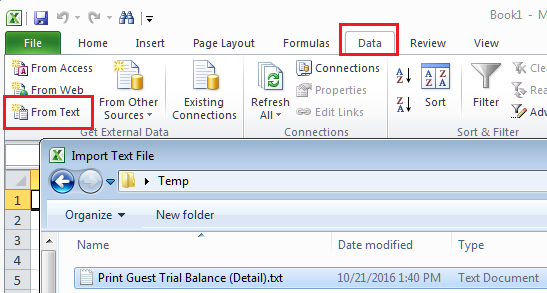 Open Excel and go to its Data Import function. Browse to the text file you saved. 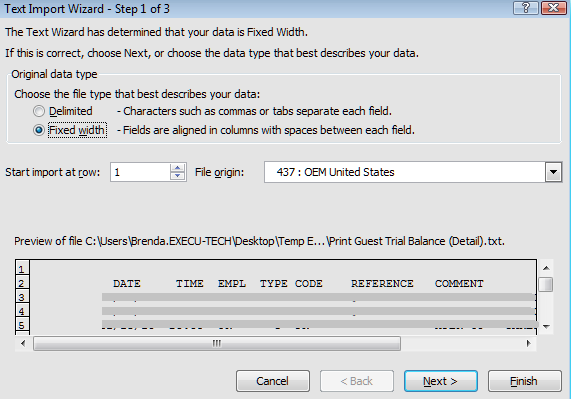 You can also use Excel's Open function. The file you import will be a fixed width file type. Go to either the Night Audit menu or the Manager Menu. 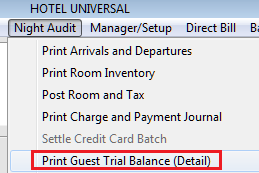 Select Print Guest Trial Balance (Detail). Remember where you save it. You will use that file for the import into Excel. You can rename the file if you wish. Make sure to save it as a *.txt file. This is what the text file looks like. Yours will have detail, of course. This is what the spreadsheet will look like. Yours will have data, of course.